After a long time back with a new foxy chop. 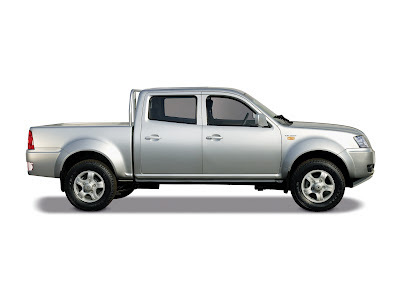 Yeah it's Tata Xenon. I have modified this pickup truck into a new design mainly for off road purpose. The main thing you will notice is that the run board is reduced to half and is made single crew cab. It has got the bumper with a new shield.The exhaust pipe comes from the right side of the rear tire. The rear light is changed, the mirror with integrated side light. Added the decals of TATA, 4x4, PARI… Over all I made it keeping in mind to look really foxy and off-road. Well what's your opinion please do share. Good Job Paranjay....keep it up!